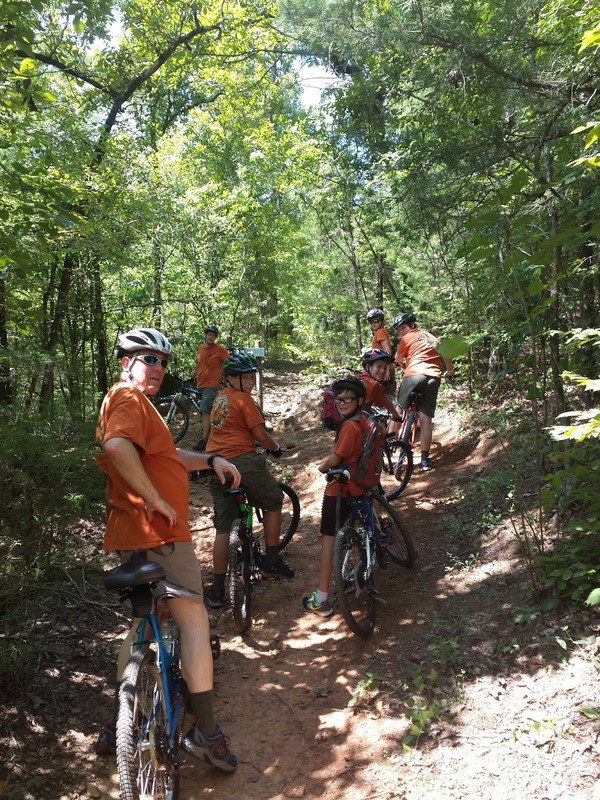 Troop 50 kicked off the start of a new troop year on Saturday, Aug. 15 with an afternoon of mountain biking at Chewacla State Park, followed by the end-of-the-summer court of honor. Chewacla State Park offers beginner to advanced riders more than 15 miles of first-class, single track mountain biking trails that zig-zag through the park, thanks to the park's partnership with CAMP — Central Alabama Mountain Pedalers. The mountain-biking experience includes everything from switchbacks, rocky terrain, bridges, inclined and elevated ramps, a wooden wall ride, and a newly developed BMX trail — and Scouts, leaders, and parents sampled most of them. Those enjoying the biking challenges divided into two groups and set out for the trails. By the end of the ride, the groups had each logged between three and four miles of mountain-biking. challenging trails, while most made the break a permanent pit stop for the day! As biking wound down, more Scouts, leaders, and parents began arriving for the late-afternoon court of honor. Nearly 80 Scouts, leaders, and parents had gathered by the time the court of honor was called to order and the subsequent line formed at the buffet featuring the culinary skills of troop families and the grilling expertise of Assistant Scoutmaster Jason Smith. The troop's youth leadership served as masters of ceremonies, which included Senior Patrol Leader Louie, Carnivorous Pandas Patrol Leader Nicky, Outdoorsmen Patrol Leader Creighton, and Scoutmaster Andrew Baird. Together, they presented 75 merit badges and 11 rank advancements — the majority the result of the troop's summer camp experience at Camp Sequoyah, but which also included Scouts' efforts to complete a number or merit badges that either were partially completed or achieved through their one-on-one efforts with merit badge counselors. Scouts gather in appreciation of the Auburn Rotary Club's ongoing support. 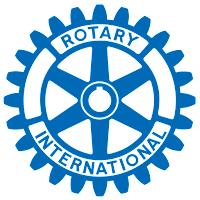 The troop concluded its court of honor by helping its chartered organization, the Auburn Rotary Club, celebrate its annual Rotary Day - conducted the day before - by paying tribute to Rotary's support of Troop 50. 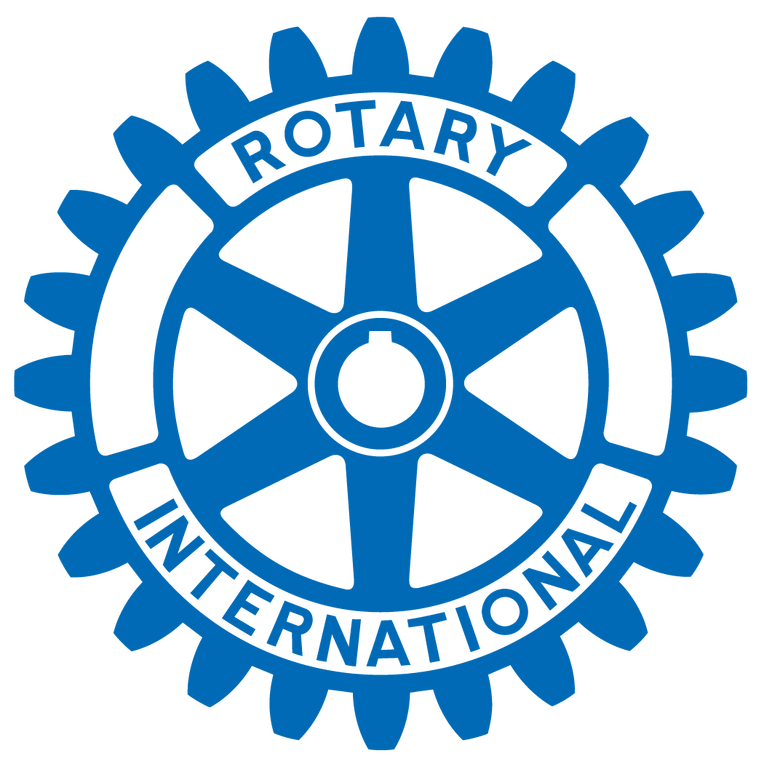 In addition to its annual financial support, the Rotary Club also awarded the troop a recent one-time grant to purchase new tents. setting up our new troop tents for the first time. At the troop's Patrol Leaders' Council meeting the Monday evening following the court of honor, the troop's youth leaders familiarized themselves with the new tents purchased with community grant funds from the Auburn Rotary Club. Following the court of honor, as a "thank you" to Chewacla State Park for hosting its afternoon events, the troop conducted a service project by picking up litter around the beach pavilion. View additional photos from the afternoon on the troop's online photo album.